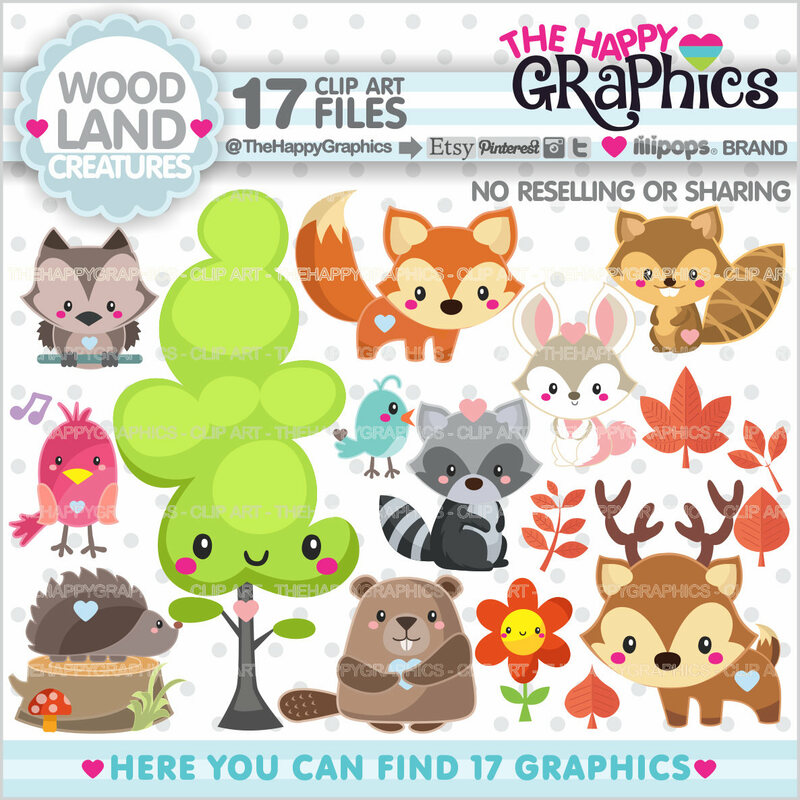 Woodland Clipart, Woodland Graphic, Commercial Use for all your projects & ideas. This Kawaii clip art is perfect and terrific for create handmade craft items, stationery, greeting cards, party invitations, scrapbooking, and everything you wonder. Is perfect digital use and print. I don't make refunds for the digital nature of the purchase (digital files instant download). Please let me know if you have any trouble with the original file. Use these files to fill your home, celebrations and events with joy and whimsy! Print and make as many as you would like for your own personal use. Make a few for yourself! You CANNOT resell or redistribute the cliparts and digital papers but you can use it in an element of your design like planner stickers, greeting cards, party invitations, etc. You CANNOT reseel our products for digital scrapbook use. You CANNOT claim the design as you're own. You can't use my cliparts like a logo or part of a logo, if you want a logo with my graphic style I can design one for you, just send me a conversation through Etsy. NOTE FOR EMBROIDERY DIGITIZERS: You can use our products personally or commercially as long as the file is a digital embroidery file. You may not include any of our original files in your download. * NEED A COMMERCIAL LICENSE? Our artwork packs come with small commercial use (100 copies sold or less) however to use our artwork commercially we require graphic credit be given to TheHappyGraphics - Lilipops design including a url that links back to (www.TheHappyGraphics.Etsy.com) The link should be placed on the same page as the product that is being sold or displayed. Commercial Credit Required - You must place copyright text on the page where you display the product. Copyright text should be placed as "Designs by TheHappyGraphics - Lilipops ©" and including this url www.TheHappyGraphics.Etsy.com in a visible place. This is a valuable opportunity to offer my "TheHappyGraphics - Lilipops property" because is a brand full of enthusiasm with fantastic characters and for me it could be a great opportunity to expand my brand through your business model. The commercial use is NOT a mass production license, it allows for up to a maximum of 100 copies sold, for quantities exceeding 100 you need an EXTENDED OR MASS PRODUCTION license, please contact us by convo. All of my designs & illustrations are registered, copyrighted and protected under International copyright law. This means that they can not be manufactured, distributed, altered, edited, copied, sold, shared or used commercially in any way without my written permission. Artwork, designs and illustrations are Liliana Mejia Vargas property | TheHappyGraphics | © Lilipops | All rights reserved.